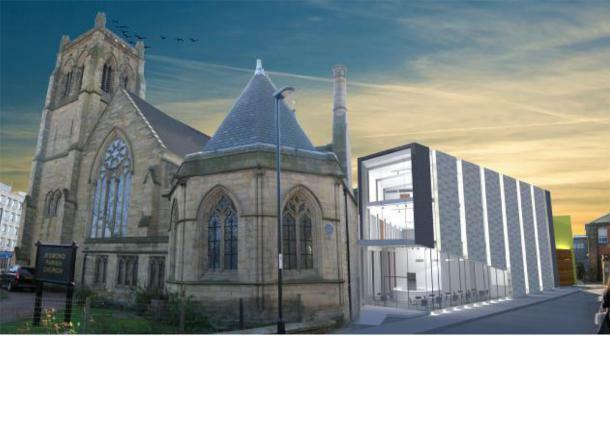 This project, situated in Gateshead, needed to tie in to the existing new development surrounding the site but also identify the building as a church for the community. Working within a tight budget CLA managed to meet the aspirations of our clients brief and create an striking building form which reflects the nature of the internal spaces. The large white form accommodates the main worship area with the smaller block housing the smaller meeting rooms and a creche. The junction of these two forms creates and flat roof entrance area which can spill out to the shared play area of the creche.